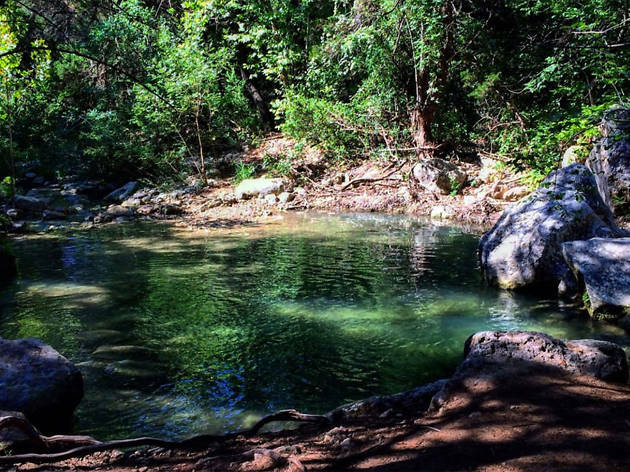 Have an urge to go camping in Austin—or at least somewhere nearby where you can take in the great outdoors? We wouldn’t blame you for wanting to escape the city life. 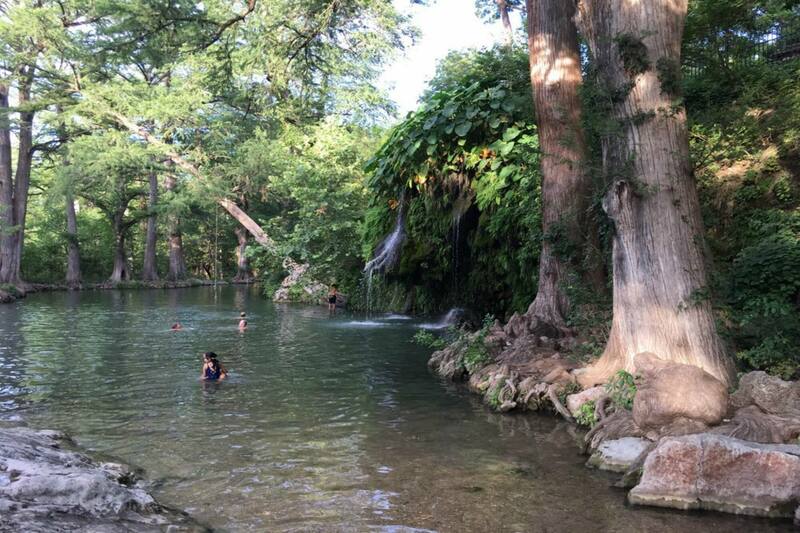 Don’t get us wrong—there are plenty of incredible things to do in Austin, but sometimes you need more than just an afternoon at the best Austin parks and gardens or on one of our top hiking trails to detox from the hustle and bustle of the city. 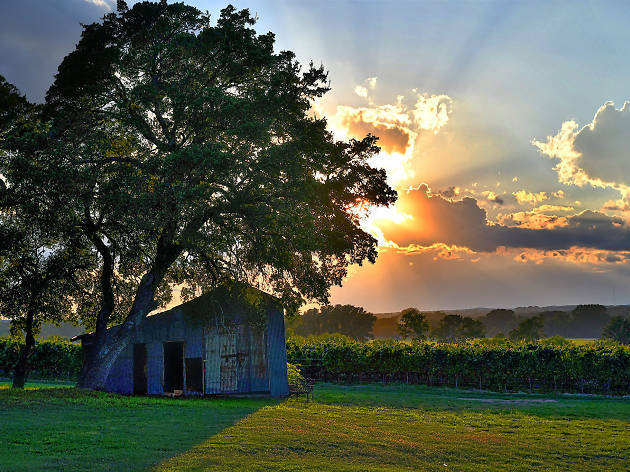 Whether a tent or an RV is more your style, here are some of these best places to camp in Austin (or right outside of it) when you hear the call of the wild. Reservations for all of the state parks can be made here. 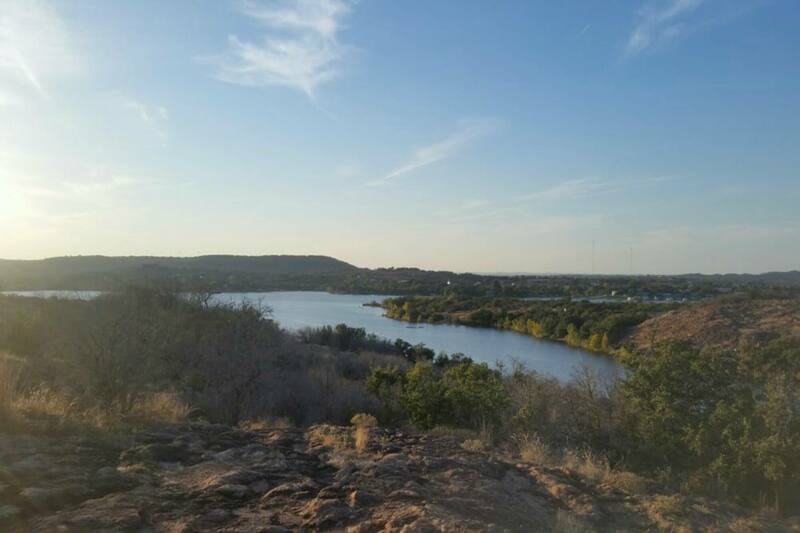 The picturesque Inks Lake State Park has nearly 200 campsites, many of which are conveniently located lakeside. There are sites for RVs and tents with varying access to water and electricity, along with primitive backpacking sites and cabins. 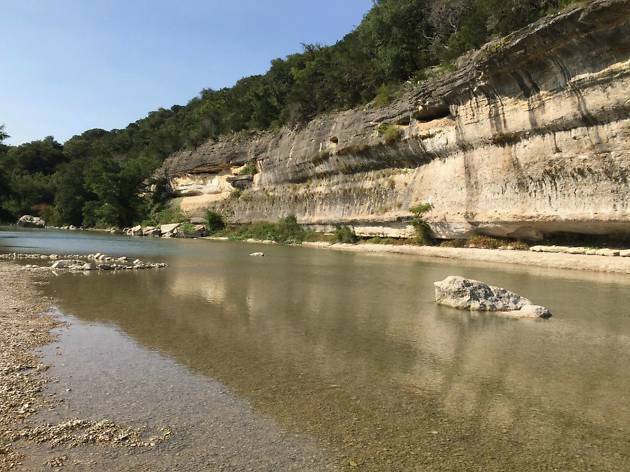 Campers can take advantage of the miles of hiking trails within the park along with a bevy of water activities, including swimming, fishing, boating and kayaking. Pets are welcome, except for within the primitive sites and cabins, but they must be leashed at all times and never left unattended. When you need to replenish your provisions, you can conveniently head on over to the store inside the park. 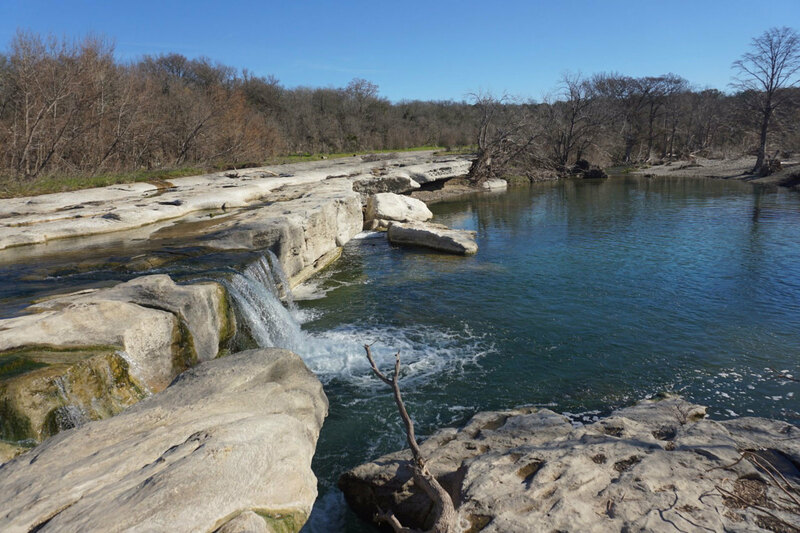 Just 20 minutes away from the heart of downtown, McKinney Falls State Park makes for an easy camping getaway where you can enjoy the peaceful Onion Creek and surrounding Hill Country woods. All 81 of the campsites have hookups for water and electricity, so both campers with tents and those with RVs are welcome. Prefer the comfort and conveniences of a cabin? They have six of those in the park. 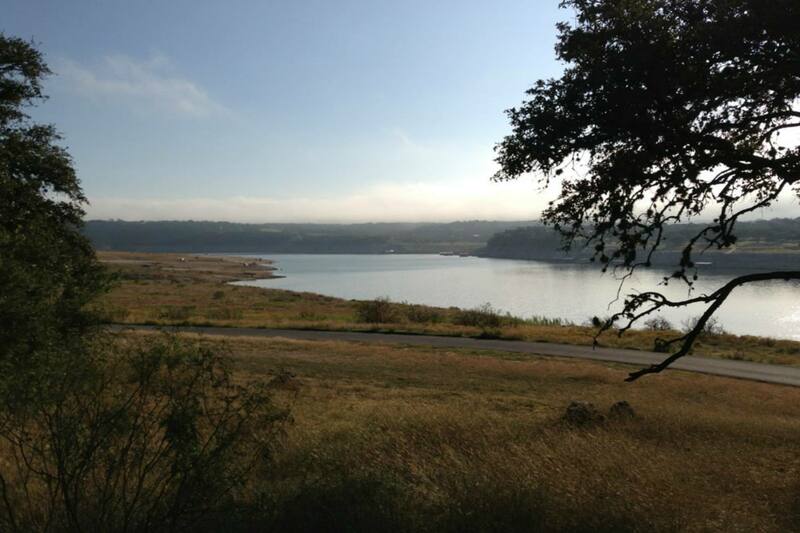 Like with most other state parks in Texas, pets are allowed if they are leashed and with you at all times. 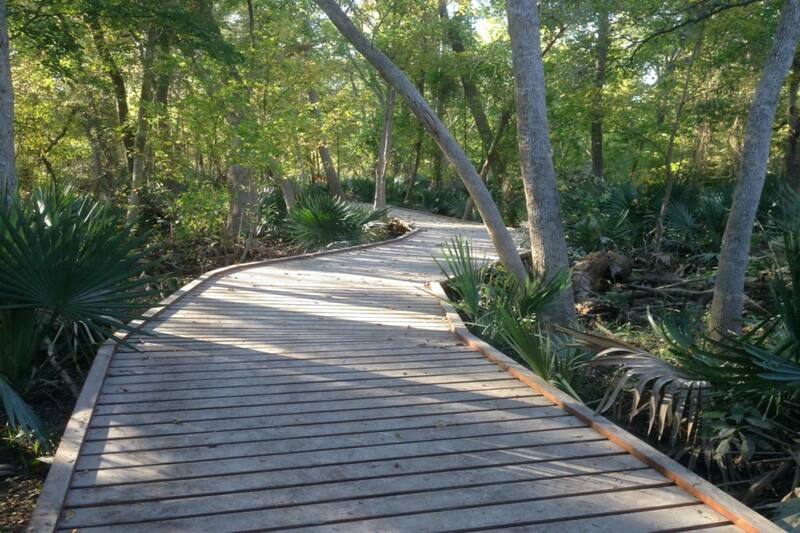 Popular recreational activities here include biking, fishing and bouldering. 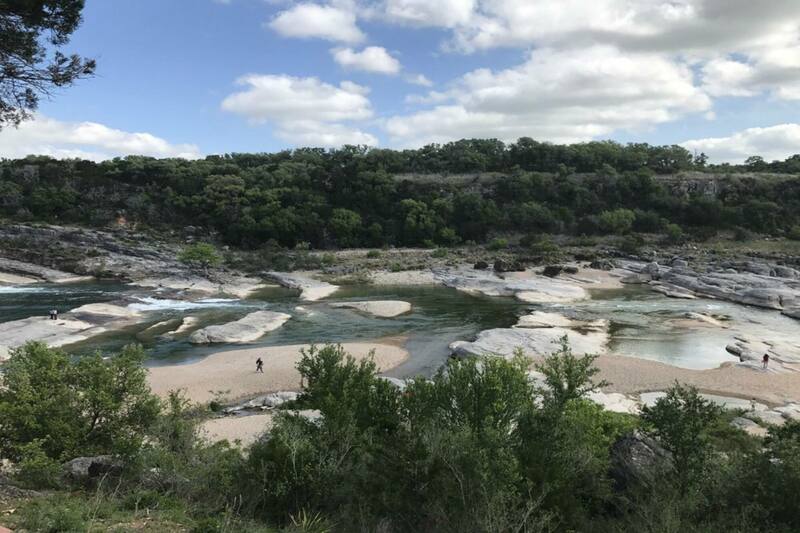 Situated along the Pedernales River, Pedernales Falls State Park gets its name from its main attraction: the beautiful falls where you’ll find huge slabs of layered limestone. You can choose to set up your tent or RV at one of the park’s 69 campsites equipped with water and electricity, or you can opt for a simpler set-up at the hike-in camp area. Pets aren’t allowed in the primitive camping area, but elsewhere you can have them with you on a leash. When it comes to recreation, campers can enjoy a number of activities, including hiking, biking, birding and horseback riding. 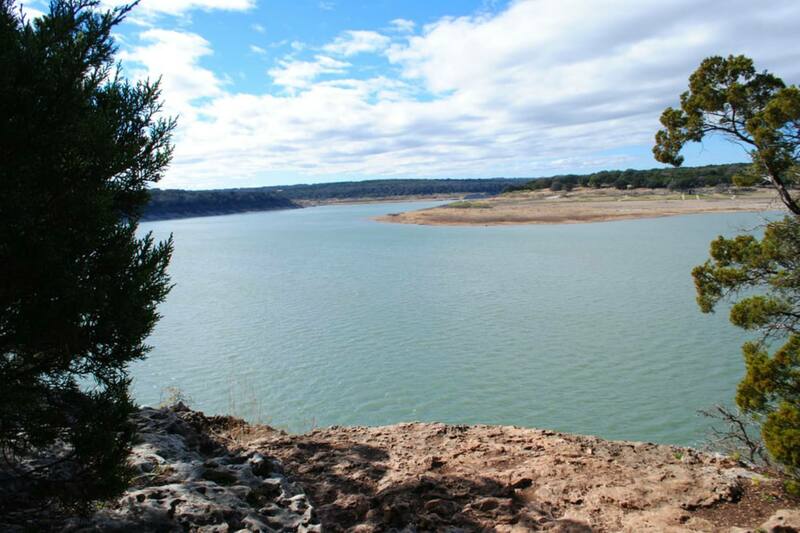 Pace Bend Park is nestled in a bend of the Colorado River, making it notable for its nine miles of shoreline. 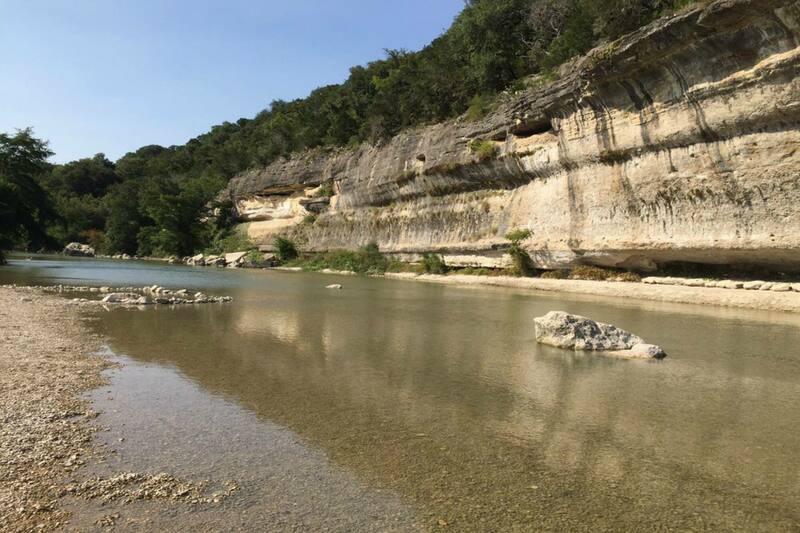 From swimming coves to sandy beaches to limestone cliffs, there’s plenty to explore throughout the park. While there are only 20 improved campsites with water and electrical hook-ups (suitable for both RVs and tents), there are over 400 primitive campsites all with easy access to the lake. Reservations are recommended for the improved camping spots since they can book quickly, but they’re not required. Feel free to bring your pet as long as you keep them attached to a person or fixed object at all times with a leash. 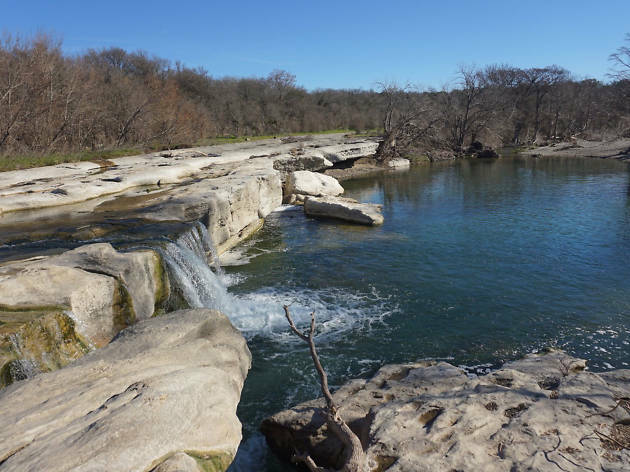 Unsurprisingly, the winding, tree-lined river at Guadalupe River State Park holds much of the draw here, offering visitors a place to swim, fish, tube and canoe. 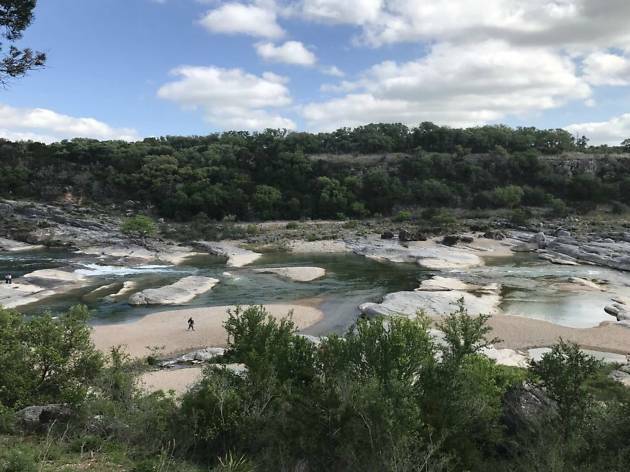 But there’s much more to the landscape than just the water, with its picturesque, rugged spots where you can hike, mountain bike and horseback ride. There are campsite options for both those with RVs and those who plan to pitch a tent. If you want your furry friend to tag along on your camping trip, make sure to keep them on a leash and with you to adhere to park guidelines. 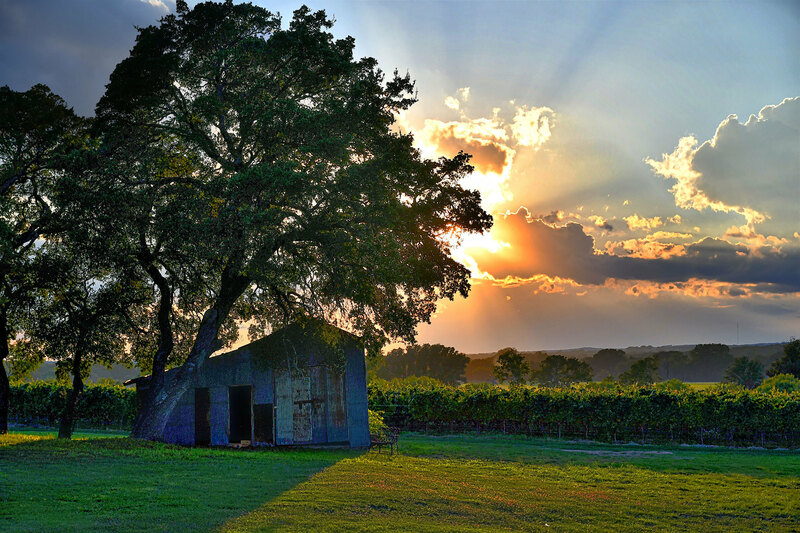 Barbecue isn’t the only reason to make a trip out to Lockhart. 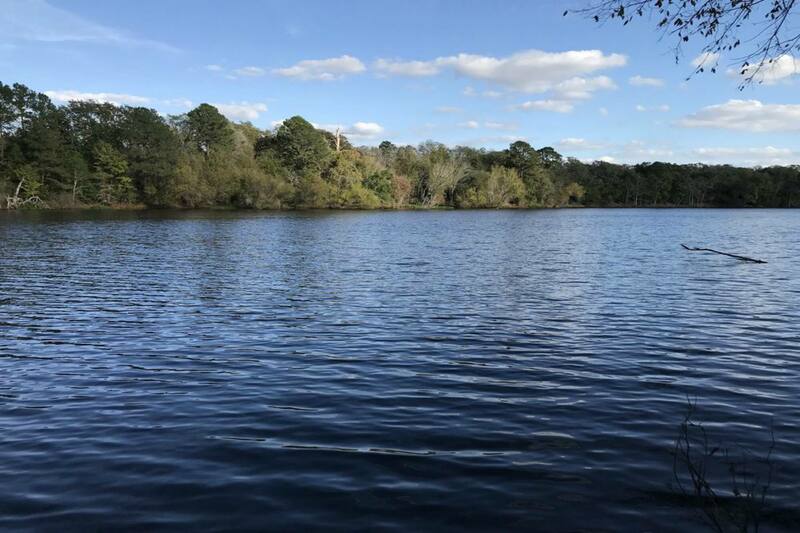 Constructed by the Civilian Conservation Corps back in the 1930s, Lockhart State Park is a quiet retreat where campers can fish, explore the trails and even play a nine-hole round of golf. Half of the 20 campsites have water, electricity and sewer hook-ups, making them the perfect choice for those with RVs, and the other half have water and electricity and are great for setting up tents in a more wooded area. 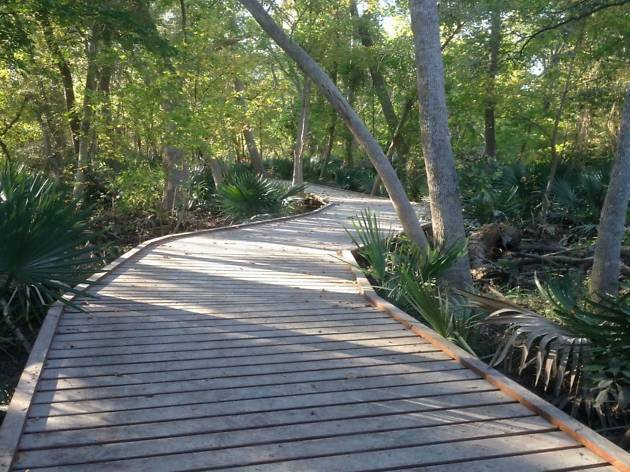 Venturing into Palmetto State Park may have you wondering if you’ve left Texas behind for somewhere more tropical; this small but lush park gets its name from the dwarf palmetto plant found all over the area. 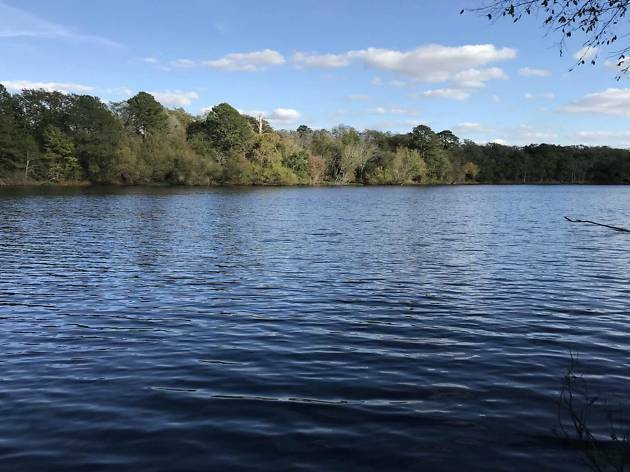 Since the San Marco River runs through it and there’s the four-acre Oxbow Lake, you can take advantage of swimming, boating, kayaking and canoeing. There are campsites for tents as well as those designed for RV campers. For visitors who want something a little more secluded, consider the group camping area bordered on three sides by the river. 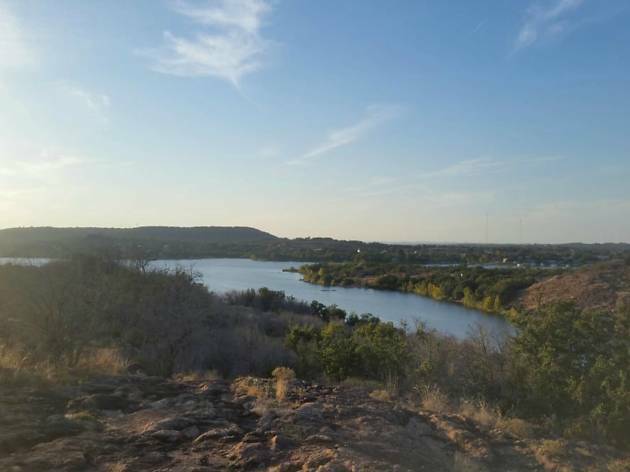 Emma Long Metropolitan Park, located on the Colorado River less than 15 minutes away from the 360 Bridge, is one of just a few places to camp within Austin’s city limits. 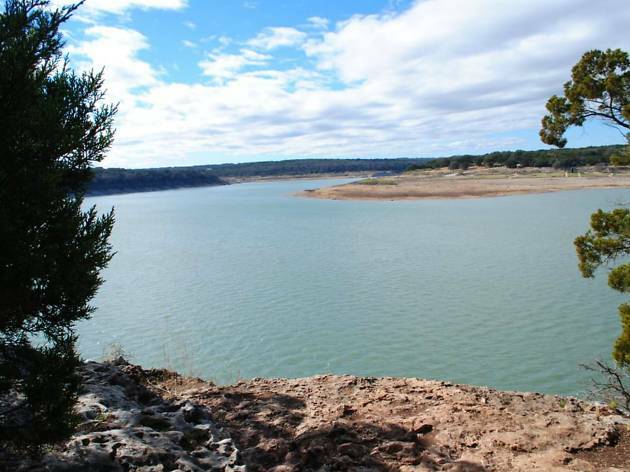 There are primitive camping sites with and without water, along with premium sites with water and electric for utility camping. 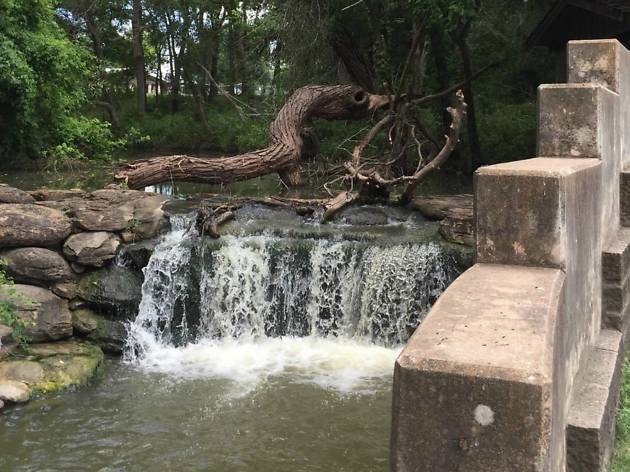 A favorite spot for families, Emma Long Metropolitan Park has hiking and biking trails, a swimming spot, a fishing pier, volleyball courts and more. So what about the pups? Feel free to bring them but you need to keep them on a leash and with you. 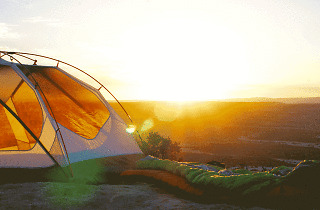 To avoid availability issues during peak seasons, go ahead and reserve your camping site online. 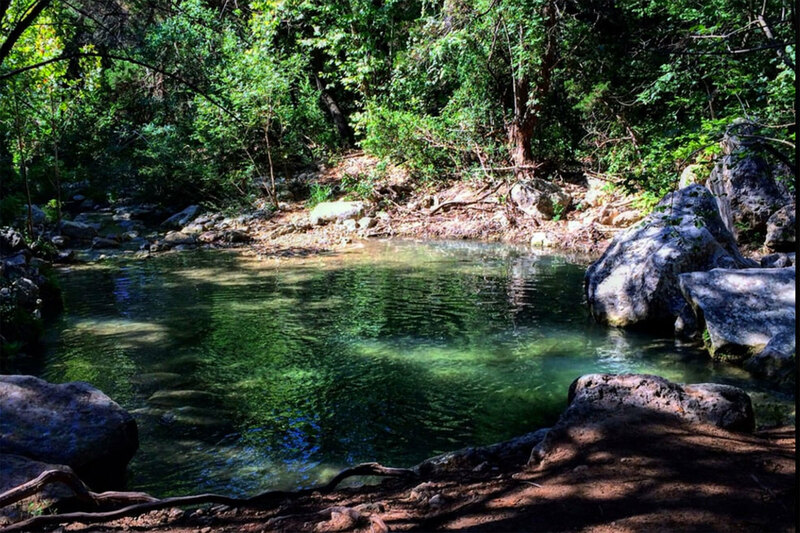 Krause Springs can thank the 32 springs on its property for its name, as well as the natural swimming hole that serves as its focal point. 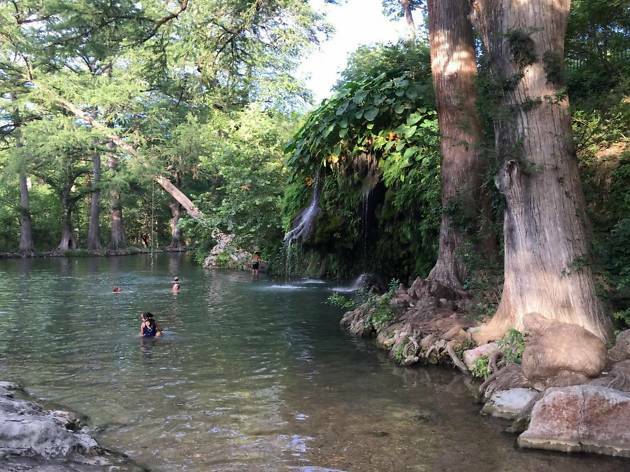 This site is truly a beautiful Hill Country oasis, complete with shady cypress trees, a waterfall, a grotto and a rope swing. While many visitors simply make a day trip there to go for a dip, there is overnight camping available. They only take reservations for their 24 sites for RV hookups, so the primitive tent camping is available first-come first-serve. And sorry, no pets allowed. Don’t forget to check out the peaceful Butterfly Gardens before you head out! 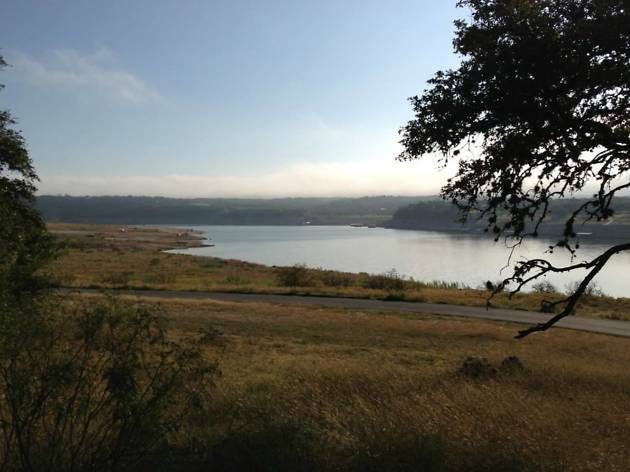 Many of you might be familiar with the lakeside parks west of Austin, but don’t forget about Lake Georgetown, a reservoir that’s home to Cedar Breaks Park. While Cedar Breaks is on the smaller side, this escape from urban civilization has 59 campsites you can reserve with access to drinking water, RV hookups, showers and boat ramps—and it’s pet-friendly. Hiking, fishing (the area is most known for its smallmouth bass), hunting small game and boating are all popular activities here. Buescher State Park is considered part of the Lost Pines region, an area that’s unique because of the loblolly pines present. You can reserve campsites with water and electricity and those with just water—or you can get a walk-in campsite upon arrival. Due to damage from wildfire in recent years, many of the trails are closed at the moment, but you can still go fishing, canoeing and kayaking at the lake, a highlight of the park. 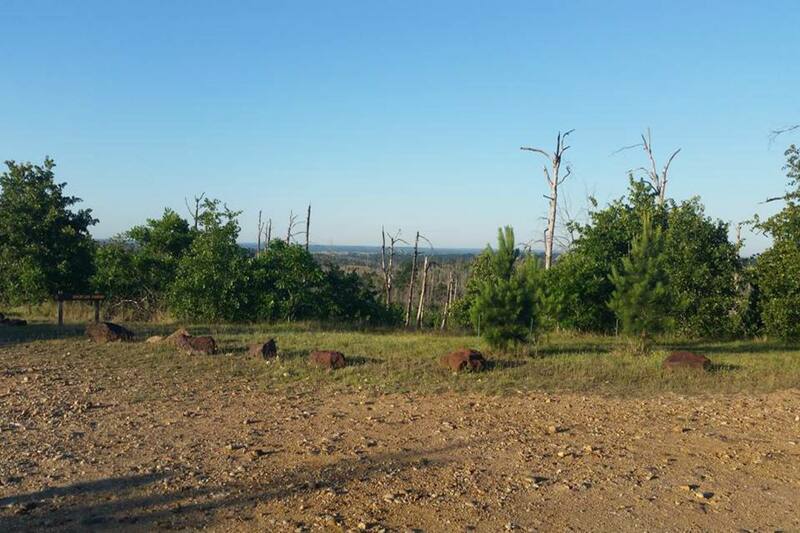 While out here, you might want to make a note to bike or drive the hilly, scenic road between Buescher State Park and the nearby Bastrop State Park. Bastrop State Park may not be the same as it once was after being ravaged by a catastrophic wildfire in 2011, but it is a place of rebirth with long-term restoration efforts in place to replant millions more trees. 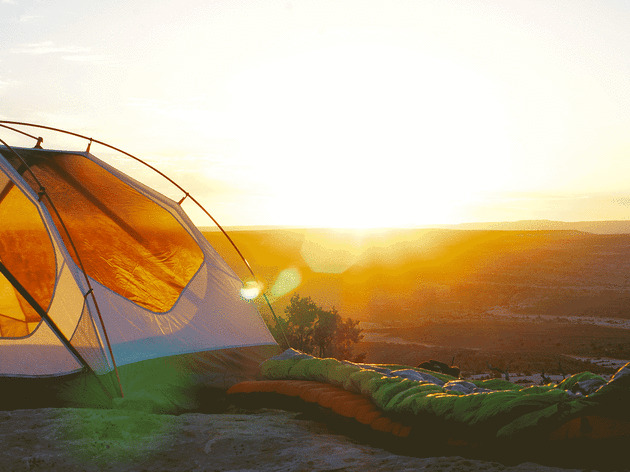 When it comes to campsites, they offer a range from basic sites for tents to full hookup sites for RVs. 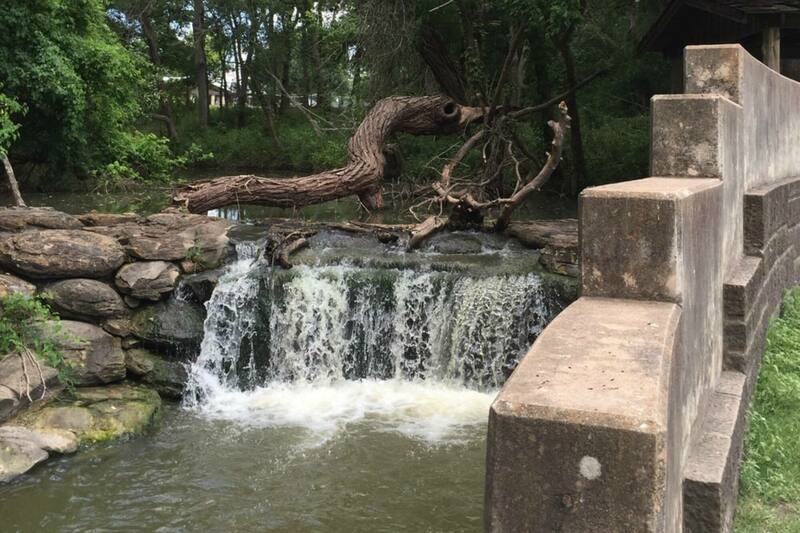 The hiking trail offers visitors a way to explore the regrowth of the forest, and visitors can also go swimming at the pool during the summer months. As with the other state parks in Texas, if you’re bringing your pet, you must keep them with you and on a leash. Need some more getaway ideas? Head to any of the fun-filled spots on this list.